AOM specialise in providing advanced air pollution control systems focusing on the hospitality industry. Our services cover the specification, design, and manufacturing of commercial kitchen hoods, in-duct filtration, and electronically integrated exhaust fan systems. With in-depth experience in the use of ozone generation and ionising, ESP filtration we achieve unmatched results for fire safety and clean air. We believe the benefits of clean and healthy air not only enhances quality of life, but increases work productivity when residential properties, offices and commercial buildings are free of harmful air pollutants and noxious odour. 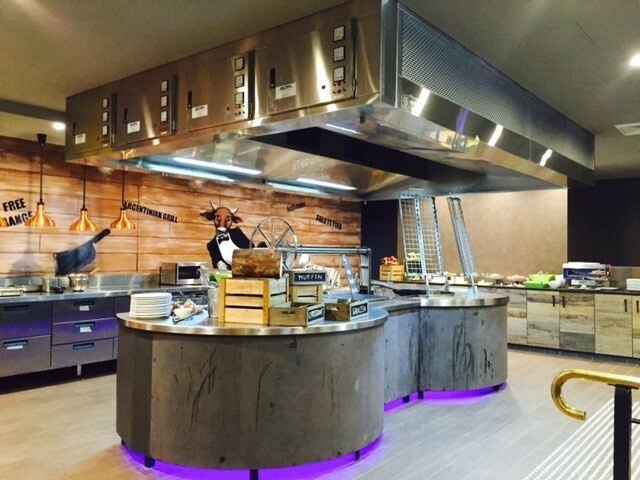 AOM are at the forefront of innovative equipment for the capture and treatment of commercial kitchen exhaust, and our hoods will allow your project to meet the extraction requirements and ensure a cost effective, and sustainably engineered kitchen exhaust solution.